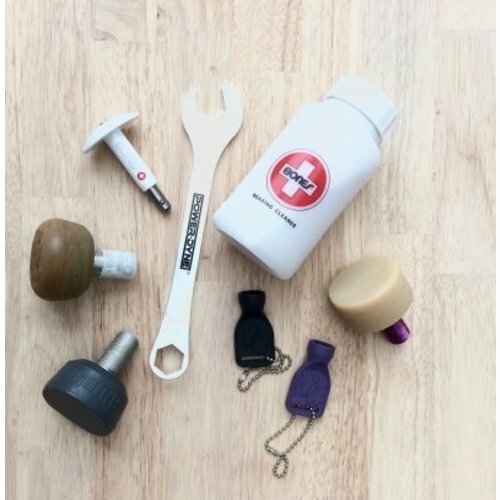 Puzzle your own Starter Pack together. This pack has different options available with higher protection than the more basic starter packs. Classic starter skate. These are the narrower skate of all options. The slim boot is completely vegan and has a soft open toebox. The ankle strap keeps you in place while the inner padding makes the R3 a comfortable skate to start with. Our newest addition to the starter packs is an agile setup (due to its 20° plate) and immediately one of our favourite options. The Ruby has a medium to wider width shoe with a curved toe, protected by a harder toe box. This gives you an ergonomic fit, a little bit of wiggling room at the toes and extra protection in that area. 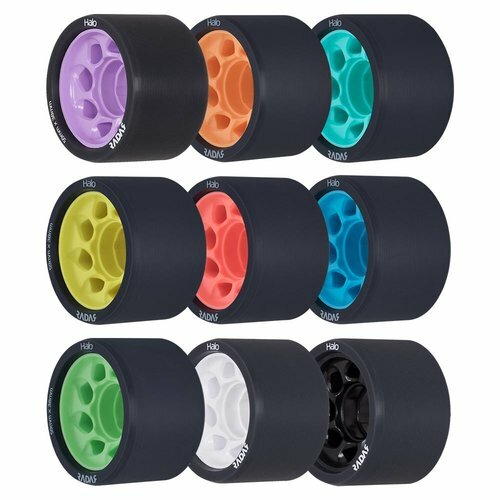 The Ruby has a round standard toe stop (best of the skate options in the starter packs) and allround indoor medium soft/hard wheels. The Vxi skates are an agile setup due to the Apollo plate at 20°. The shoes have a rounded collar for comfort and a velcro strap to secure you in place. As the toe box is soft and open, it can be laced wider or smaller as you please. This boot has the most padding on the inside, compared to the other options. This results in a comfortable fit, but we advise you to get them snug as padding becomes thinner over time (in all skates). This classic helmet from TSG is also very popular. Together with the other helmet options, this has been a standard reliable option to protect your head. 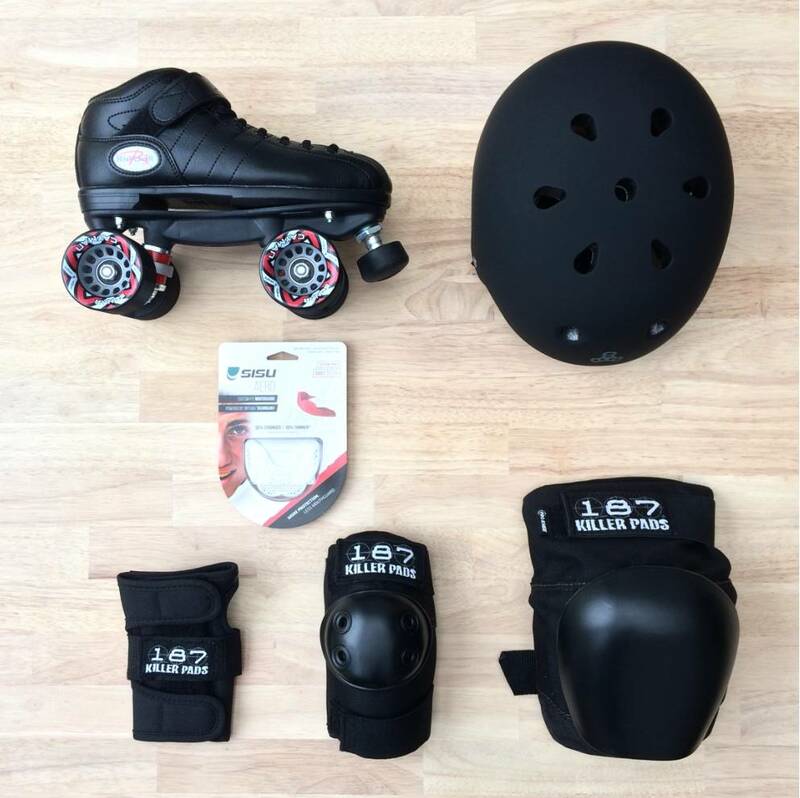 The Brainsaver is your standard roller skate helmet, available in different colors. It is safe, fits well and has a sweat wicking liner. This Allround helmet is a great option. It is available in different color options (yet that might delay your delivery as we mostly stock Black) and it has a micro adjustable head ring to really make it fit perfectly. This Lifer helmet is the safest helmet option. 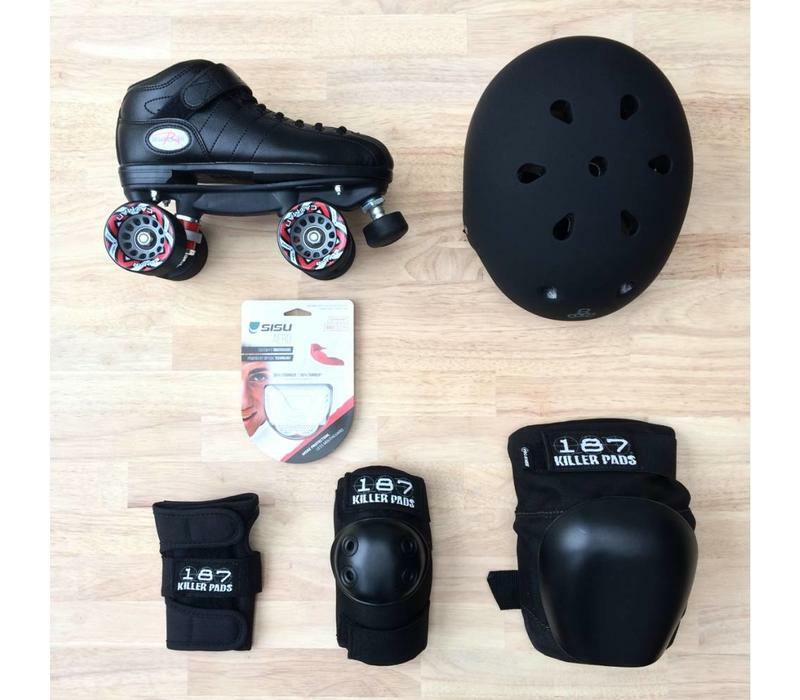 It is certified for single and multi impact, exactly what you need for roller derby. The Lifer fits deep on the head and is not fully round, but a bit slimmer on the sides. It comes in a very wide range of sizes and color options. 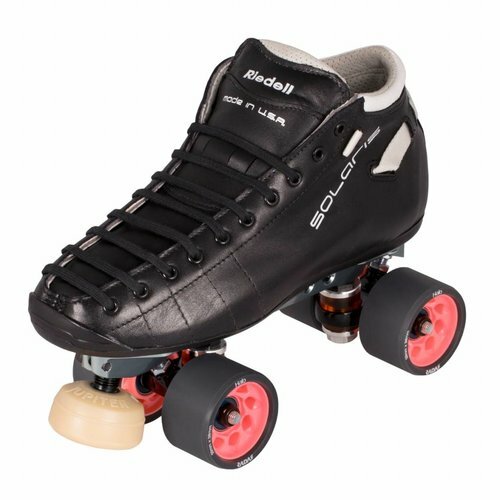 Originally developped for vert skating, these were quickly loved by roller derby skaters as they can endure heavy impact. These will keep you safe and make you feel safe. Protection and comfort, without the bulk of higher end knee pads. Memory foam protects your knees while the neoprene butterfly closing and elastic with velcro straps keep everything in place. These will be your pick if you prefer a lycra sleeve and a longer pad. The adjustable straps keep your elbows in place. Both of reliable quality and protection level, you can choose any of these 2 options. The standard 187 elbow pad is protective without being too bulky. It is ergonomically fit and easy to put on and take off. The slim version is smaller, making the elbow pad more efficient without losing protection. It has a quick-dry liner to boot. TSG's classic and timeless wrist guards both have a 3 point closing system with velcro straps. These have been go-to options for skaters over a decade because they are strong, safe and last during our aggressive sport. The difference between Force and Pro: the Force uses a mesh for a more breathable protection. Classic 3 point closing system with velcro straps. The material around the wrist is completely in mesh, which is super breathable, but not as strong as other options. 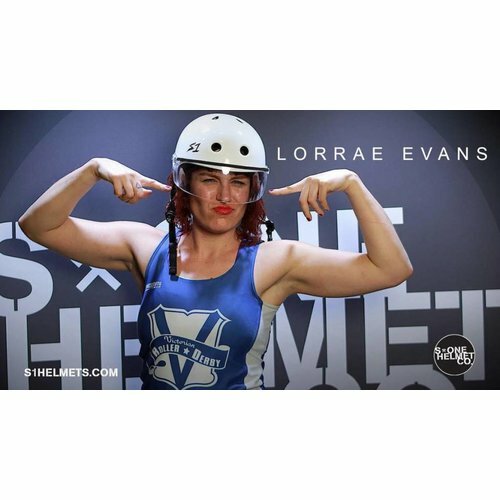 This mouthguard is the most practical option and the most used amongst roller derby skaters. Instead of being bulcky, which would just make you gag and drool, this SISU mouthguard uses efficient technology to keep you safe. Why is it so loved? Because it is of a practical size, you can form fit it for YOU and your teeth and you can talk, breathe and drink with it. Whilst this might not be your concern right now, you'll be happy about this choice in the long run. Don't just take our word for it, ask your team mates. Whilst the SISU Aero is the standard mouthguard, this one gives you more protection. The SISU Max uses the same technology as the Aero, but has thicker material. Protecting your skates with a set of toe caps or toe guards. When falling and skating, the toe area of your skates will get damaged. Put a second layer of protection around them to keep them new. Changing your wheels or bearings requires a tool. You might need it when you put your outdoor wheels on, for example. 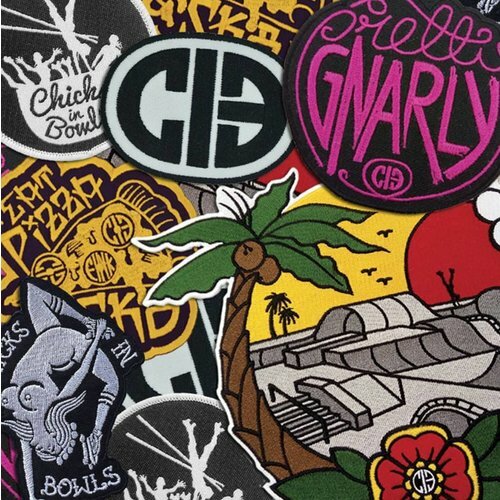 Organizing your skate bag? Before you know it, it becomes a mess. Putting your extra wheels and other small items in a wheel bag will make your life easier when digging into your skate bag to find something. Just throwing your skates over your shoulder. You can do it without wearing your laces out, by just hooking them into this skate leash. Easiest way to carry your skates. -- Consider sizing! 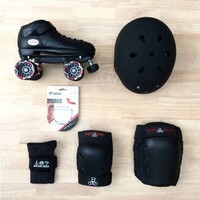 No elbow pad is the same, nor are skates, wrist guards, helmets or knee pads. 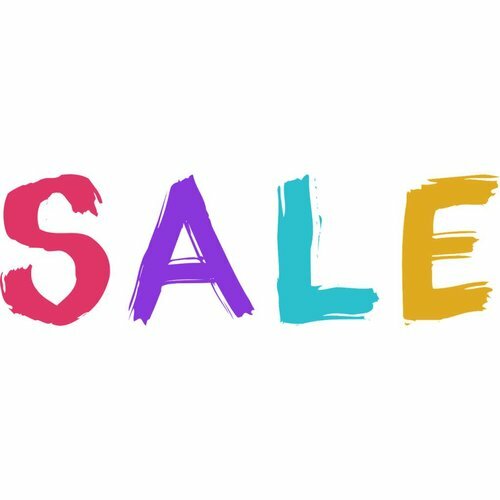 You can click on the products above to find more information about that item, or you can check our sizing information page. ** We find the Chaya Ruby skates to size somewhat small. You might want to go up one size. If you are a 38, please consider getting yourself a size 39.